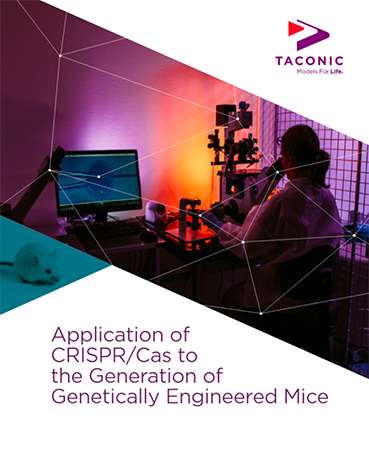 UPDATE: This White Paper has been updated in 2018 to reflect the latest technological advances and usage recommendations of CRISPR/Cas in the generation of research models. CRISPR/Cas gene editing has emerged as a versatile technology for inducing precise genetic alterations in a number of different species, including mice and rats. Given the importance of genetically engineered mice in modeling human disease, the power of CRISPR has the potential to revolutionize the field of custom rodent model generation and facilitate biomedical research.